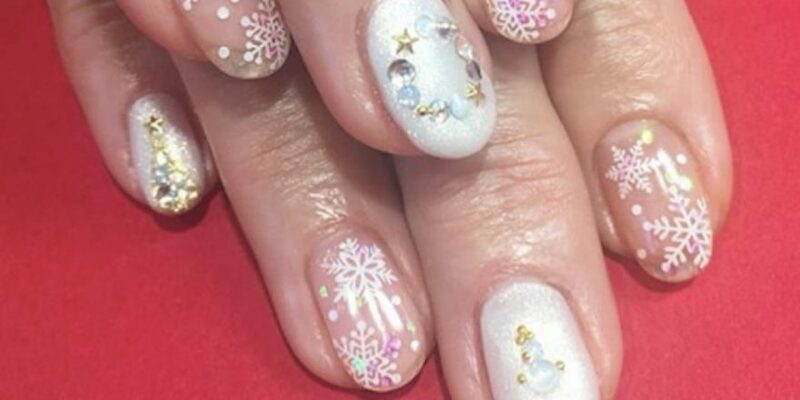 Both global warming and holiday cheer are on the rise, and while we may have no actual snowflakes in sight, snowy nail art is everywhere. Instagram is filled with talented nail artists showing off a wintry mix of festive art to display on your fingertips. We’ve rounded up some of the cutest snowflake nail art, so make sure you bookmark this page and test it out for yourself or bring it with you to the salon. These manicures are perfect for your office holiday party or family gathering and will bring almost as much joy as a snow day.